Colors: madder red, dark navy blue, gold yellow, light yellow, brown, variegated medium green, variegated soft green, ivory, dark brown. 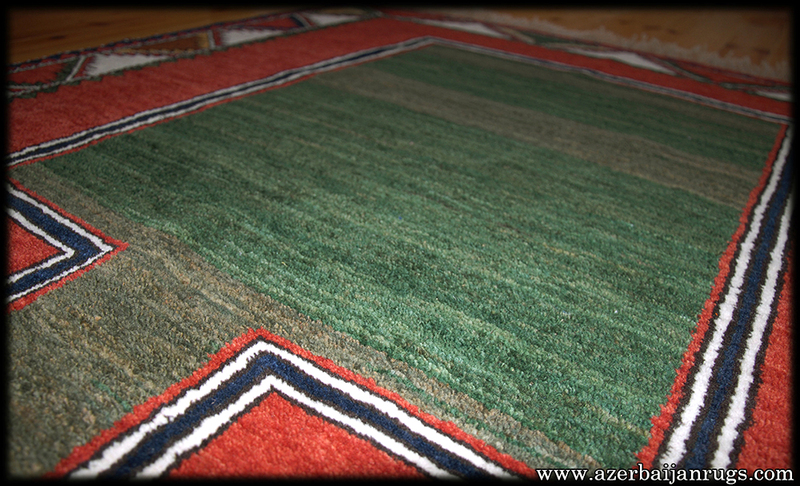 Design: The stark, 'minimalist' look of this extraordinary rug is extremely unusual. 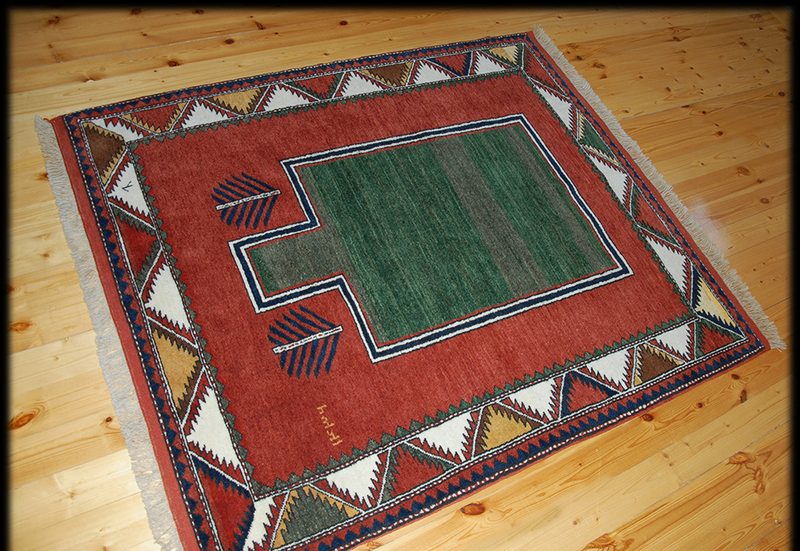 The rug's tremendous impact comes from its perfectly balanced design and pure, saturated colours. The green praying area, which stands on a bare red background, is strongly delineated and extremely simple in conception; Detlef Maltzahn likens it to a window which opens onto another world. The pronounced abrash of this 'window' helps create an illusion of three-dimensional depth. 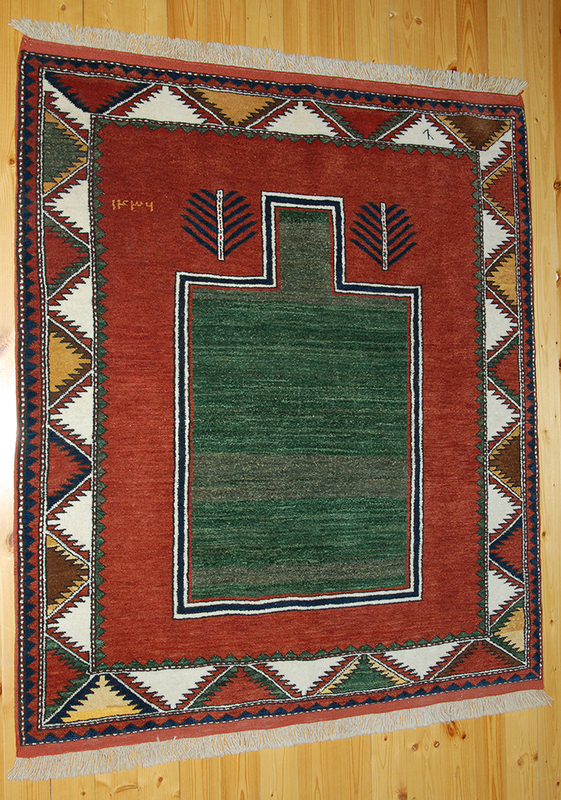 Anatolian inspiration is evident in the rug's design, as is its architectural relationship to a small group of prayer rugs. Variations in color tonality generally in the ground colour of the field, which result from the weaver's use of wool dyed in small batches with minor differences in color depth.